Showmax has released the trailer for The Girl From St Agnes, their first original drama. For her first South African series in a decade, she’s handpicked an incredible cast led by Nina Milner, named one of Model.com’s Top Newcomers at Paris Fashion Week in 2017; 24 Hours To Live star Tyrone Keogh, in his first local role since being named SA’s sexiest actor during his time on The Wild; District 9 and Chappie actor Robert Hobbs; and Monte Carlo Best Actor finalist Graham Hopkins (The Lab). They’re supported by internationally recognised South African talent like Tessa Jubber (Wallander), former Olympic swimmer Karl Thaning (Dredd), and Shamilla Miller (Troy: Fall Of A City); hot new talent like Jane de Wet, Paige Bonnin and 2018 Fleur Du Cap Best Student nominee Tristan de Beer; and local favourites like Strictly Come Dancing winner Zakeeya Patel (Isidingo), Makgotso M (Is’Thunzi), Celeste Khumalo (The Queen), and Jocelyn Broderick (Getroud Met Rugby: Die Sepie). Produced by the multi-award-winning Quizzical Pictures, The Girl From St Agnes is coming first and only to Showmax on 31 January 2019. 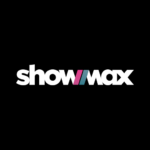 Showmax is an internet-based subscription video on demand service supplying an extensive catalogue of TV shows and movies.